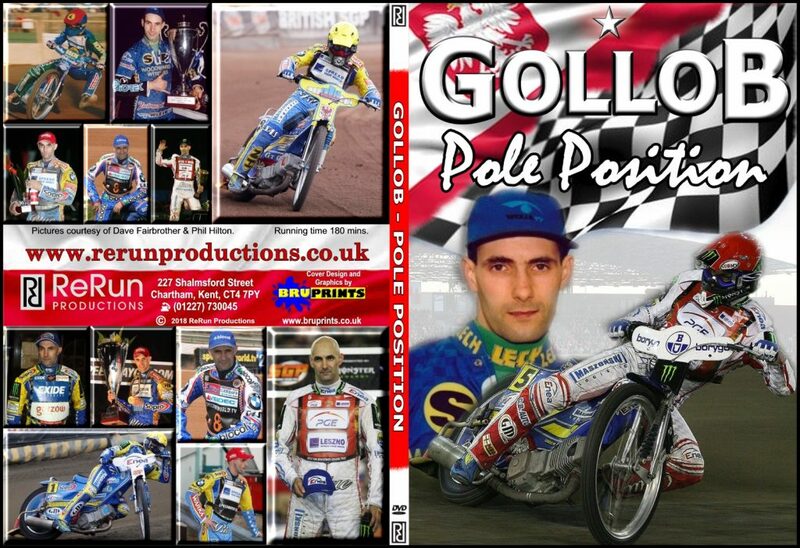 Tomasz Gollob, an incredible speedway rider, thrilled the British crowds for three memorable seasons around the turn of the century and this DVD is a celebration of his track mastery! 1. Racing against Exeter at Bydgoszcz in 1990. 2. At Pfaffenhofen in the 1992 World Under-21 Final. 3. His first World Final at Vojens in 1993. 4. The 1995 and 1996 Grand Prix highlights against the likes of Tony Rickardsson, Hans Nielsen, Greg Hancock, Sam Ermolenko, Mark Loram and of course including his coming together with Craig Boyce at Hackney! 5. The three great seasons when he was an Ipswich Witch as the dream team of 1998 won all of the competitions they entered! 6. His great heat wins at the Millennium Stadium in Cardiff. A must see three-hour DVD for any fan with a love of world class speedway! Only £15 and available from Thursday at Foxhall Stadium.